IWF - Who is Brett Kavanaugh? Last night, the American public was introduced to President Donald Trump’s excellent second Supreme Court nominee: D.C. Circuit Judge Brett Kavanaugh. A judge’s judge, as President Trump called him, the Supreme Court has adopted Judge Kavanaugh’s rulings an astounding 11 times. Judge Kavanaugh is one of, if not the, most highly qualified court of appeals judges across the nation. He is a graduate of Yale College and Yale Law School and a former clerk to Justice Kennedy, the Justice whom he was appointed to replace. He has taught hundreds of students, primarily at Harvard Law School, where he was hired by then-Dean Elena Kagan. Judge Kavanaugh has been a defender of religious liberty and the Second Amendment. His opinions demonstrate a skepticism to the ever-expanding administrative state. The Wall Street Journal notes that he has found agency action unlawful an astounding 40 times. 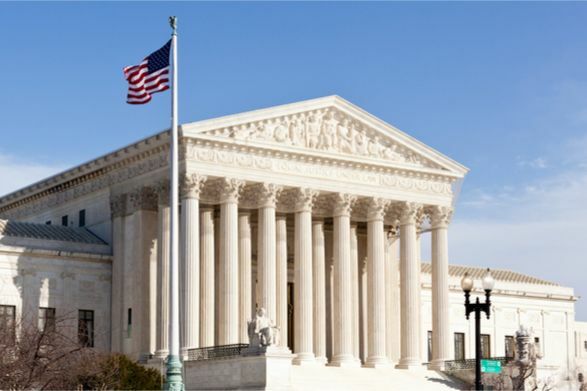 His opinions and speeches suggest concern over Chevron deference, the Supreme Court’s practice of deferring to agency interpretations of the law, deference that often lets agencies run riot. During his speech accepting the nomination, Kavanaugh’s personal words also provided some information about the man behind the resume. Judge Kavanaugh introduced his lovely family, his wife, whom he met while working at the White House, and his two young daughters. He’s the son of two lawyers—his mom was a public school teacher in Washington DC and went to law school when he was ten years old. When he was a teenager, his dad attended law school at night while working full time. Kavanaugh is also a committed Catholic who helps the priest for whom he once served as an altar boy serve meals to the homeless. Judge Kavanaugh talked about being an avid sports fan—something he says he learned from his dad, and is now instilling as coach to his basketball-playing daughters. In fact, I first met Judge Kavanaugh as a tough competitor on the “highest court in the land,”—the basketball court directly above the Supreme Court chambers where large letters warn players not to shoot hoops while Court is in session (this warning is said to have been directed primarily at a retired Justice White). The Senate should move quickly to ensure that Judge Kavanaugh takes a well-deserved seat on the bench below the “highest court in the land.” His 300 and some opinions demonstrate a profound respect for the limited role of the judiciary and a belief that it is up to the people, through their elected representatives, and not the Supreme Court, to effect change in the law. A Justice Kavanaugh will be a win for the rule of law and for all Americans.